Female macroptera. Body and legs yellow, head light brown; antennal segment III yellow in basal third, IV–VI sometimes paler at extreme base; fore wing almost uniformly shaded, sub-basal area paler also wing apex. Antenna 8-segmented; segment I with paired dorso-apical setae. Metanotum without sculpture medially, campaniform sensilla absent. Sternite VII with few and irregular discal setae. Bhatti (2000) recognised 10 species-groups in the genus Trichromothrips, and placed T. obscuriceps in the group in which species have sternal discal setae. Unfortunately this species remains known only from the original specimens, about 35 females and one larva, mounted onto three slides. All of these specimens are poorly preserved, and most are uncleared. Two of the slides are labelled “Brisbane Hacker”, but the third slide is labelled “Host Crinum Lily, Brisbane 16-9-31 H.Hacker”. Feeding and breeding on leaves? Diarthrothrips obscuriceps Girault, 1931: 2. Bhatti JS. 2000. 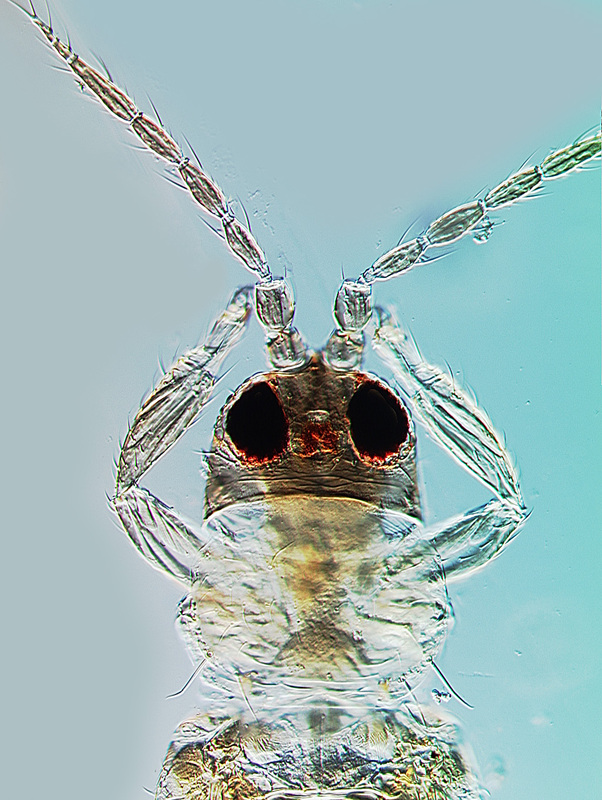 Revision of Trichromothrips and related genera (Terebrantia: Thripidae). Oriental Insects 34: 1-65.